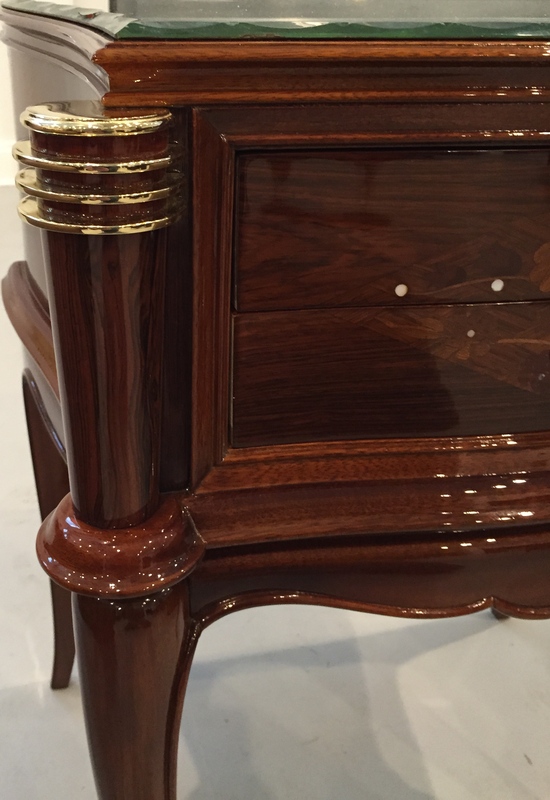 A pair of French Art Deco side tables in the style of Jules Leleu circa 1930s. 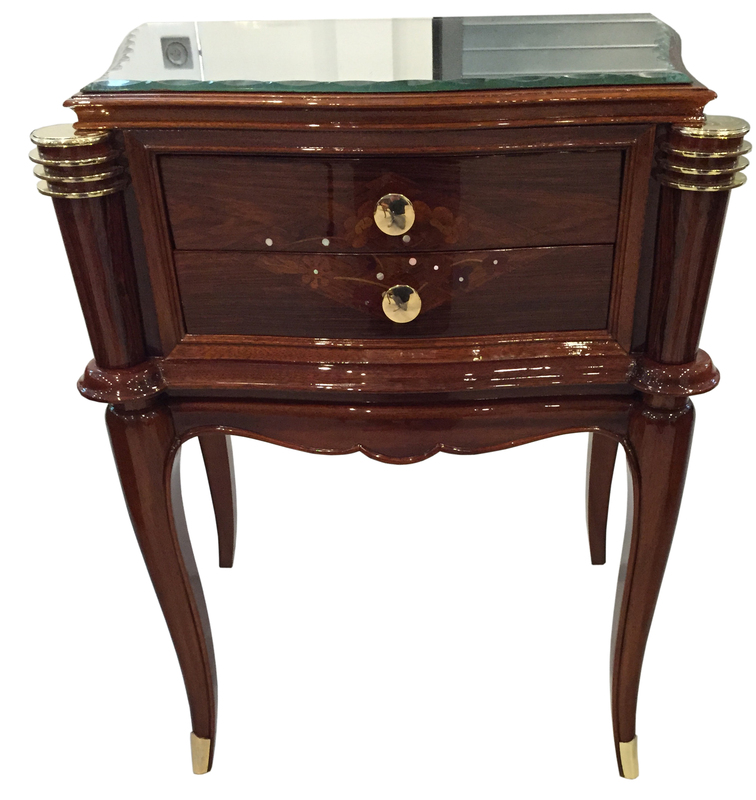 The wood is rosewood with mother of pearl inlaid along with mirror top. 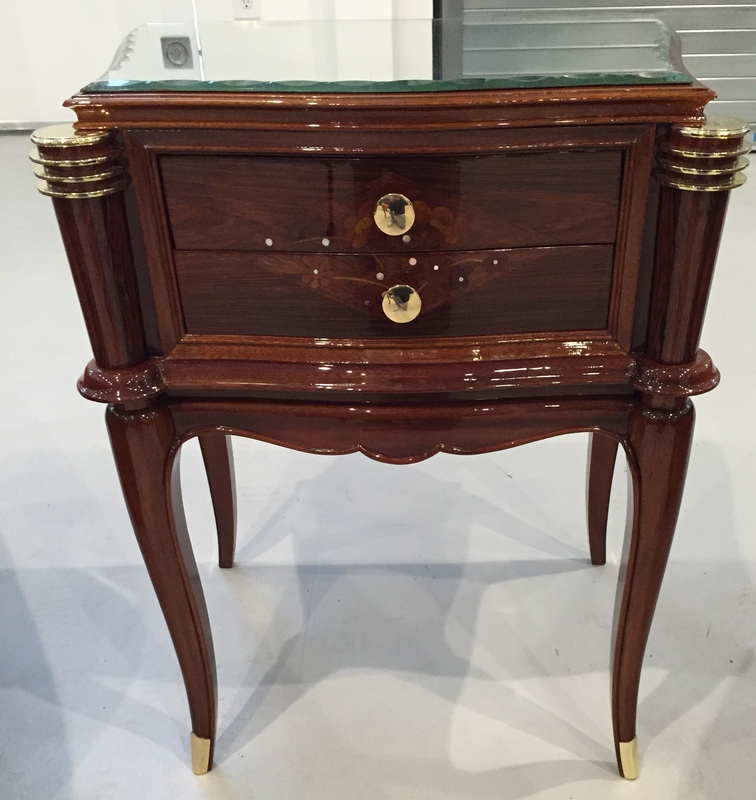 The tables have been professionally restored by an artisan of three generations. Perfect for any room in your house that needs some Art Deco decor.